Vaughn VM 7700 Junior Goalie Mask | Sports Etc. 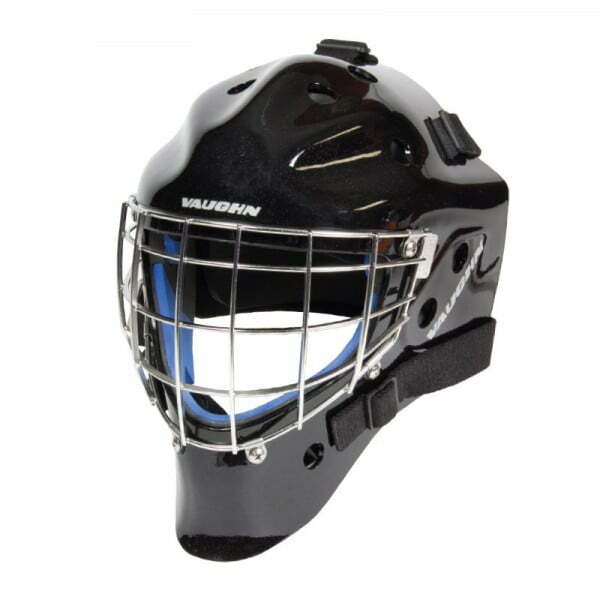 The Vaughn 7700 junior goalie mask has a polycarbonate high pressure injected shell for durability and protection. The pro style shape enhances fit and puck deflection. The wide face opening increases the overall field of vision. Sports Etc Performance To Value Rating– 8 out of 10. The 7700 is a highly protective and durable helmet. Fits slightly wider- perfect for someone with a fuller face.